Check out our Summer Kids Camps! 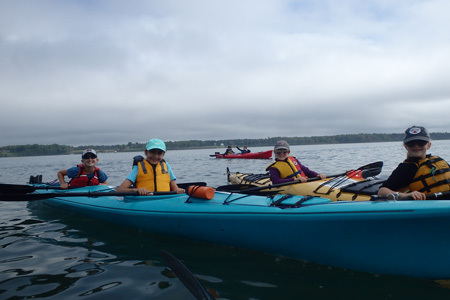 This summer paddling program is a great opportunity for kids to get their paddles wet and sample what it is like to kayak and experience Castine from the water! We’ll play lots of on water games to build kayaking skills and friendships on the water with fun and healthy exercise! There will be lots of collaboration and team building, with more experienced paddlers assisting those new to the sport! Program Goals: To provide children with an opportunity to try out safe and fun kayaking in the bay and to help minimize risks by educating them about the risk factors while giving them skills to paddle efficiently and safely to prepare them for a safe summer! 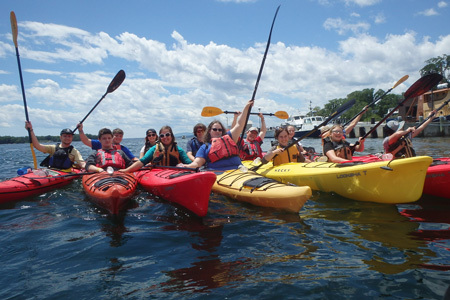 Your kids will get an up close and personal understanding of the water and currents of Castine Harbor while learning the ins and outs of safe and fun kayaking! During this four session program through games and challenges, kids will learn how to paddle efficiently, how to re-enter a capsized kayak and how to avoid capsizing altogether! This fun and experiential camp will have your youngsters enjoying friends, loving and exploring the environment that surrounds them and have a new lifelong healthy sport. On water games and challenges will be sure to entertain and allow the paddlers to achieve kayaking skill levels! 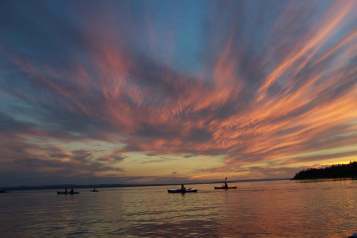 In this 4 session kayak camp your teen will learn the ins and outs of kayaking safely and efficiently on the currents of Castine! Through games and challenges this skills based program will move from beginner skills and quickly progress through rescue skills, tides and currents and depending on the group and challenge by choice we’ll get a chance to play safely in some of the tidal waves that Castine’s currents are sure to deliver. Hopefully this July or August introductory class will give your teen the bug for the exciting and healthy sport of sea kayaking ! Kids in Kayaks End of Summer Day Camp! Ring out the final days of summer before returning to school with hands on fun and learning in a kayak! 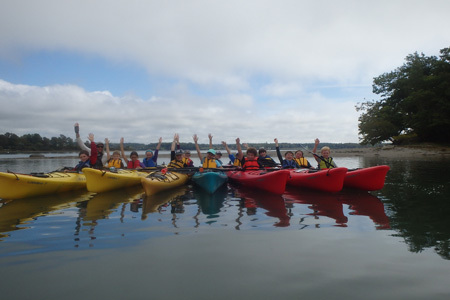 Each day will be full of challenges and games to enhance your kayaking skills allowing you to paddle to ever more interesting paddling locations while learning about the marine environment, island habitats and positive ways we can interact with nature! Program will include kayak skills (technique and rescues), Leave no trace ethics, games and cooperative challenges, tides and currents, basic trip planning and navigation. There will be plenty of time to land and explore some of the amazing trails and history of the islands in the Castine area! Older teens will learn camp trip leading skills which might lead to future guiding opportunities!